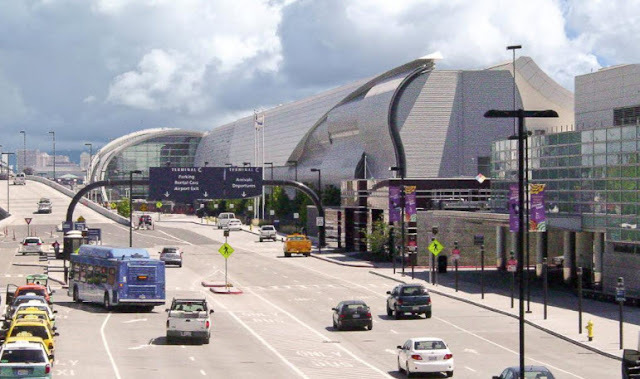 The San Jose Blog: SJC is planning a $1 billion Expansion! SJC is planning a $1 billion Expansion! San Jose International has been growing by leaps and bounds over the past five years and has finally hit a point where a major expansion is feasible. Three additional gates were recently added, bringing the airport to a total of 31 gates. The new expansion being planned would add at least 9 more at the end of Terminal B, bringing the total to 40 gates or more. This would mean more flights, destinations, and tax dollars for the city (San Jose owns the airport). While still in the early planning stages, it would be interesting to use some of the new gates as a dedicated international terminal given all of the new overseas routes. The target cost of the expansion is $1 billion (for context Terminal B was $1.3 billion) and the goal would be to open all of the new gates by 2024.